Kit Description Description: A kit made up of songs from Gorillaz's albums Demon Days and Plastic Beach. Why do you want your music kit added to WarZone Gaming? : The music is vary varied and unique yet all stems from one artist. Classic songs are mixed in with masterpieces of Gorillaz instrumentals to create the track so I think many people would enjoy it. Additional Comments: This is the background image. 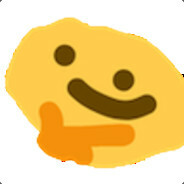 I thonk you may like it.